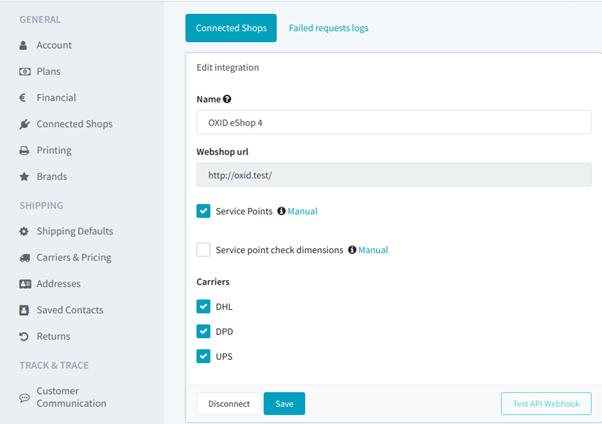 Connecting your OXID shop to SendCloud is really straightforward. With these 4 steps you can easily establish the connection. 5 minutes of your time should be enough, please follow the steps below! 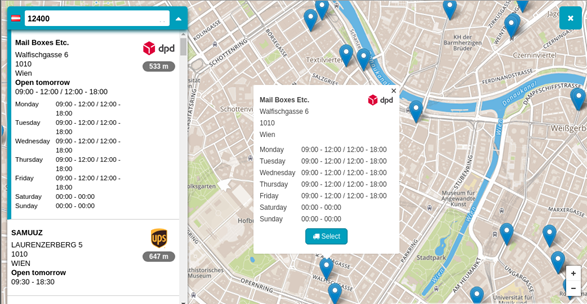 With another 5 minutes you should be able to set up Service point delivery as well, which can increase your shop conversion rate up to 30%. First of all, go to your OXID back-end. 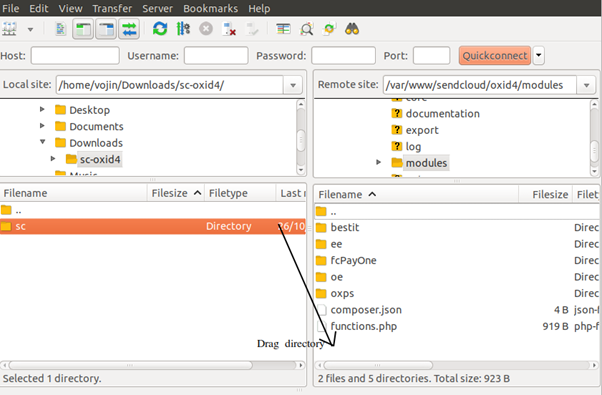 Transfer module files via (S)FTP client to the server that hosts the shop system. Tools like FileZilla or WinSCP can be used. Upload the 'SC directory' from your downloaded archive to the <shop_root>/modules directory. 2. Activate the module after you have successfully uploaded it. Go to Shop administration -> Extensions -> Modules menu. Activate the SendCloud module here. The new menu item should now be visible on the left side of your menu. 3. Establish the connection with SendCloud. Click on the blue button “Login or create your free SendCloud account”. A new tab will be opened with login page of SendCloud. Enter your credentials and login. At this point the actual connection has been established. Go to 'Settings' within your SendCloud account. Then go 'Connected shops' and click on 'edit' at your existing shop connection. Enable the service points and carriers for this connection. Well done! 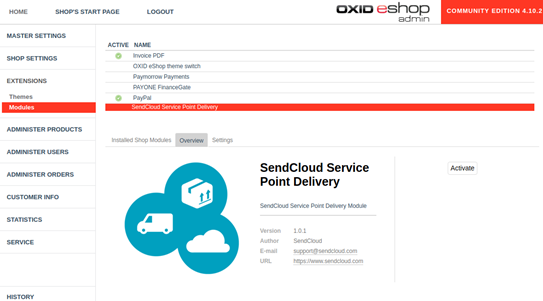 Your Oxid shop is now connected with SendCloud. You should see all your orders being imported from now on. 4. Now, go back to the back-end of your shop. 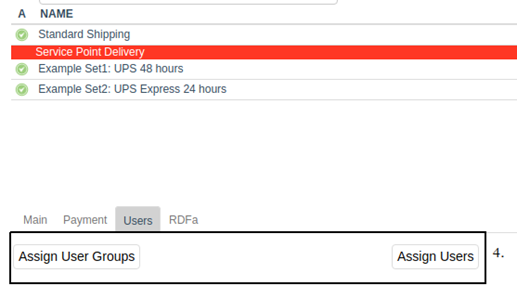 View shop settings and go to the shipping methods menu. 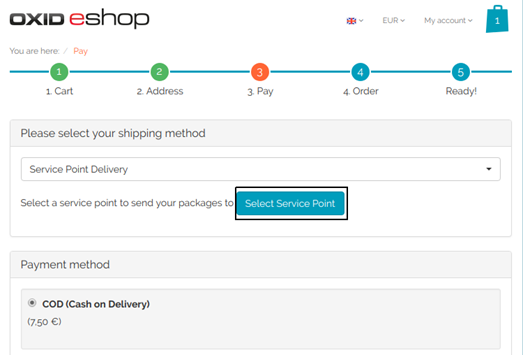 Here you will find a new shipping method “Service Point Delivery”. 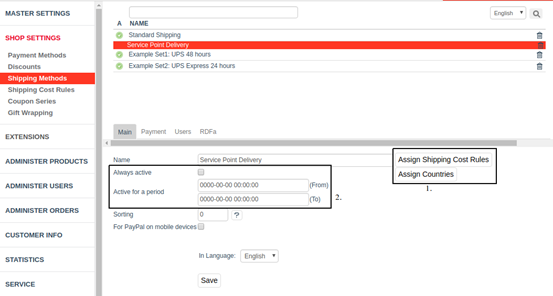 Assign shipping cost rules and assign countries to which this method is available for. 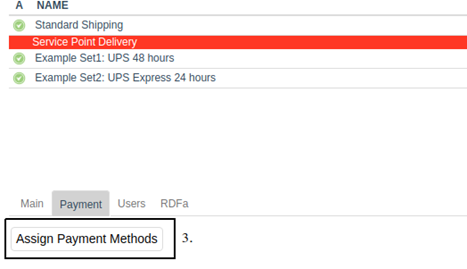 The shipping method can be set as 'always active' or 'active for a period of time'. Assign payment methods available for this shipping method. Note: Check payment method available countries. Assigning users and/or user groups is optional. By default, it is assigned to all users. As discussed above, adding service points to your checkout can increase conversion with 30%. When you add this option to your checkout, customers have to select a service point by clicking the "Select Service Point" button. When he/she does, the map will be opened at the location of the delivery address and the customer will be able to select a servicepoint. 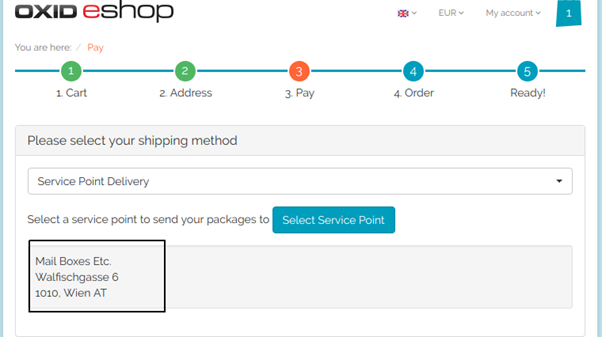 The information concerning the selected service point is now displayed below shipping method. 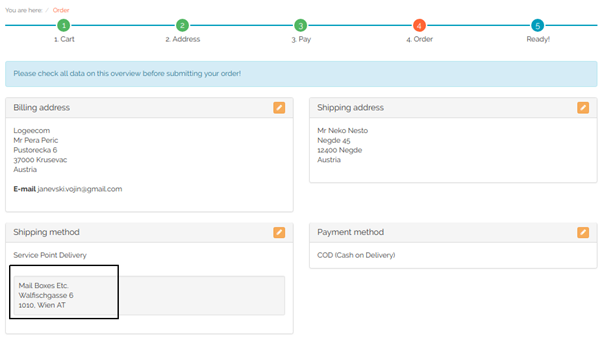 This information is also visible on your order overview page. 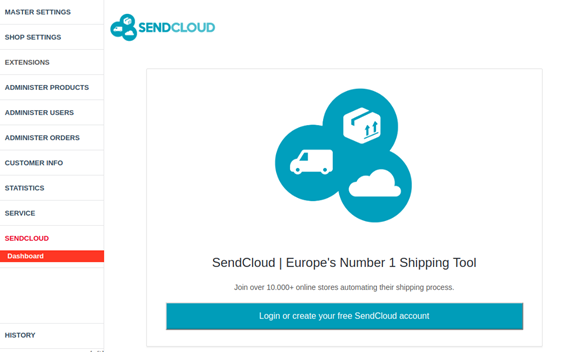 After the order has been successfully created, it will be imported to your SendCloud account automatically and can be further processed there. Congratulations, your service point delivery settings are now correct. Offering several delivery options is always better than offering only one, and it also increases your webshop conversion rate!